"Not uptown, not downtown, but in town." 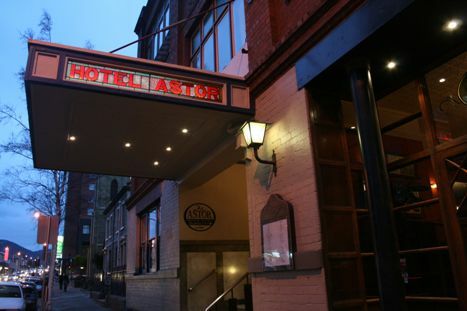 Welcome to the Astor Private Hotel where you are assured of a warm personal welcome. The Astor is a small, friendly, comfortable and very affordable accommodation option while staying in the capital of Tasmania, Hobart. Our guests enjoy old fashioned personal service with someone always on hand to gladly assist with directions, travel arrangements or recommendations on where to eat. These days the Astor maintains the charm and ambience of earlier times and we look forward to having you stay with us.